Originally posted on Facebook and Twitter. Space illustrator Jim Vaughan's take on Mars rover Opportunity as the dust storm approached. The NASA press conference was a beautiful, heartfelt celebration of the 15 years of Opportunity's mission and a look to the future of Mars exploration. 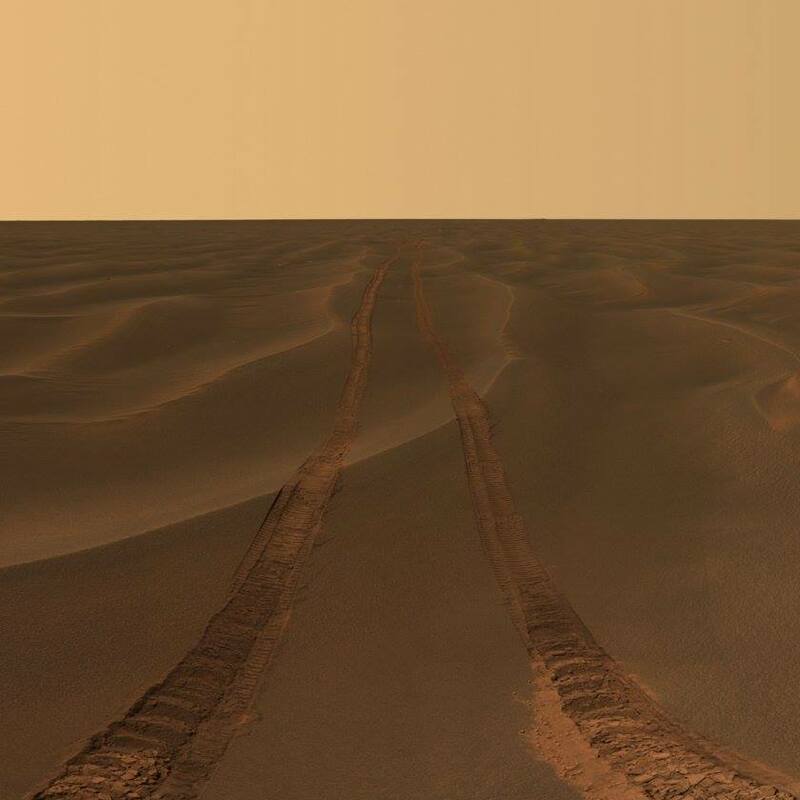 Over the last 9 months, the team sent over 1,000 recovery commands to try and wake Opportunity up, ultimately to no avail. 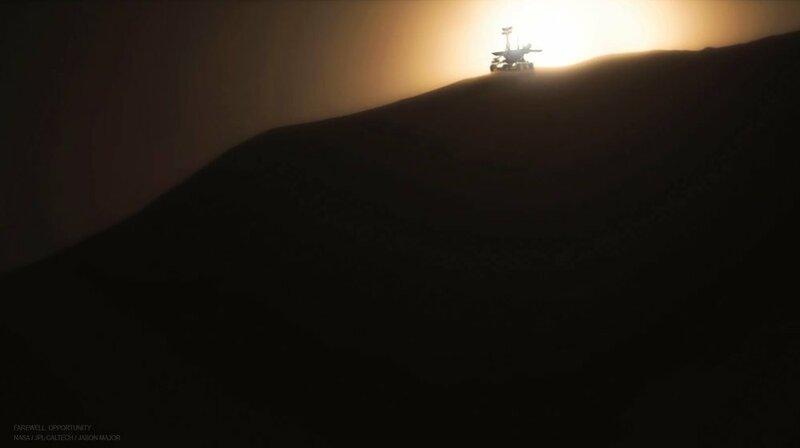 The last message Opportunity sent translated as “My battery is low and it is getting dark.” 🥺 Amidst a month-long, record-setting dust storm, it was simply too cold and too dark for too long. Originally posted on Facebook (with updates). NASA will hold a press conference Wednesday at 2PM EST to share the results of its efforts to reestablish contact with Opportunity. All indications are that it won't be good news, and may very well mark the end of the mission. 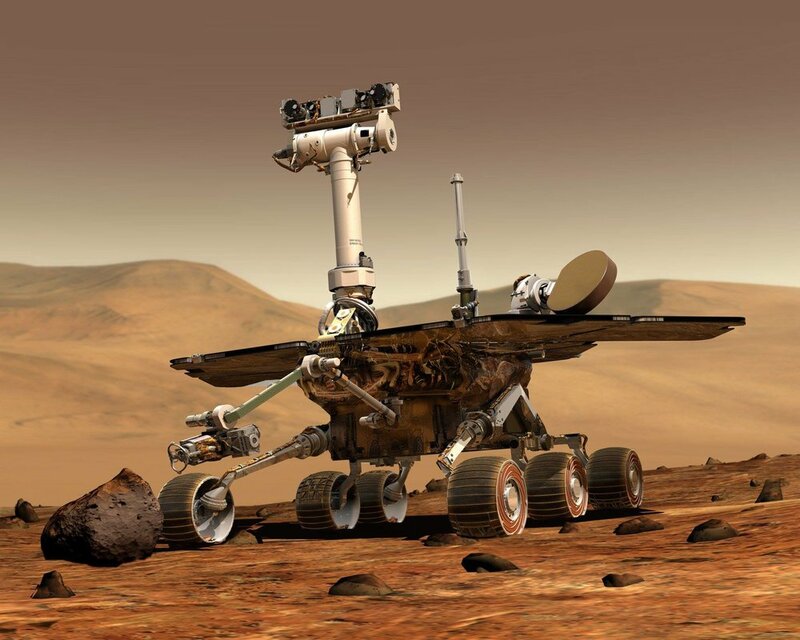 It's been 9 months since communication with the rover was lost during a massive Mars dust storm. Whatever happens, here's a beautiful piece about Opportunity and some of the lives it's touched by Shannon Stirone: https://medium.com/…/its-time-to-say-goodbye-to-our-beloved…. Expect a lot more pieces like this to be posted in coming days. 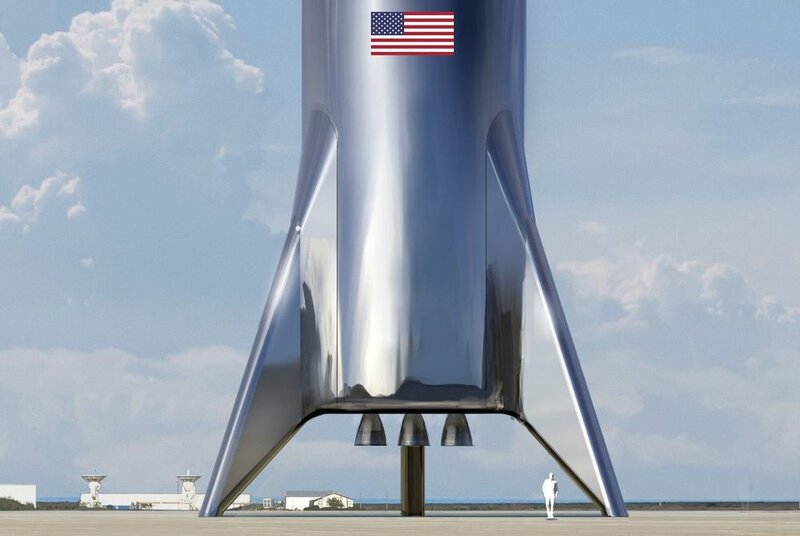 SpaceX simplifying Mars rocket design, aiming toward lunar tests first. The goal is "to reach the Moon as fast as possible." Bits of the foothills of Mount Sharp, imaged by Curiosity yesterday on Mars. Dreaming of Mars, the startup Relativity Space gets its first launch site on Earth. Their rocket is fully 3D-printed - and they want to print one on Mars next. Wine on Mars? Hells Yes! “Georgia, a country with an 8,000-year-old viticulture tradition, is putting its top space and wine scientists to work figuring out how to grow grapes on Mars. The project is named IX Millennium, ostensibly as a nod to Georgia's ninth millennium making wine. I love it. It’s impractical and extravagant and about 10,000th on the list of things we need to do to enable humans to live on Mars, and I love it.